Sports training and personal training come together in this one-of-a kind fitness approach. Here, you’ll discover a whole new level of playing – whether you’re playing competitively or as a hobbyist / enthusiast. The sports training programs offered at MFP are segmented to accommodate all age groups. In fact our Titleist Golf Program is extremely popular among the 50s, 60s, and 70 year old. Medical Fitness Pros is the only facility in West Houston and Katy that has certified Titleist Performance Institute Golf Fitness Professionals on staff. If you are ready to improve your golf game, there is no one more qualified to help you improve your technique and avoid injuries than us. 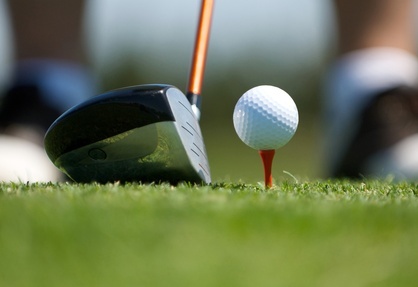 We understand the kinesiology behind golf and we perform a comprehensive musculoskeletal screening to find weaknesses in your muscles and joints. This helps us and design a program to help you stay injury free. Our Titleist Golf Fitness Program is one of the best programs in the world. We take you through a full computerized assessment program and then put all of your information in to a database to calculate your strengths and weaknesses. Once we discover what things need to be improved we create a customized workout program that addresses each of your weaknesses and helps you improve them. After 18 sessions, we’ll do a follow up to re-evaluate your progress. The great thing about our Titleist program is that not only do you see an improvement in your golf, but you also get healthier. Throughout the program you will work on flexibility, cardiovascular conditioning, and strength training. Your fitness level will improve and you will begin to hit your drives further and your shots more accurately. The only negative thing we’ve heard from this program is that they begin hitting the ball further than they intended, which took them some time to adjust to during their game. Corrective Golf program is the best way to overcome your faulty swing mechanics and ease any pain you may suffer when playing a round of golf. Enrolling in our Medical Fitness Pros’ Corrective Golf program will increase your flexibility and range of motion, while also increasing your stability and balance. Doing this will add yards to your drives and a lower handicap. Learn more about the Titleist Golf Program. 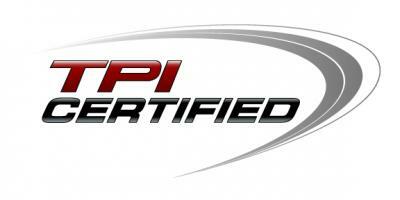 “When I started working with Jason, it was specifically because he was a Certified TPI (Titleist Performance Institute) trainer. This is a program designed specifically for “golf” fitness. The fact that it is a program designed for golf I didn’t expect it to be that tough. Before I started, I was one of those people in the gym that saw people working with trainers and thought they weren’t working that hard. I never saw them lifting very much weight and doing what I thought were very easy exercises. I was TOTALLY wrong. I have never worked that hard in the gym and had never felt better than I did while going through the program. It was a complete eye opener to fitness…not just golf fitness. I was doing some of the same exercises I once thought were easy (which were not) and really being pushed. Jason is not an “in your face screamer” type of person, but I had a great way of keeping me motivated for the entire hour workout. It has completely changed my workouts from the boring old lifting routine I used to do, to a much more advanced “core” training program that I love doing. Tennis is a wonderful sport because it utilizes speed, agility, quickness, balance, strength, power, and endurance. It can be a wonderful workout just playing a game. It would make sense that when you workout, you train your body to improve on each of those things. However, few people workout in a way that enhances each of those skills. You may not be the best player on the court, but it doesn’t mean that you cannot improve. What kind of difference would it make if you could move easier on the court? 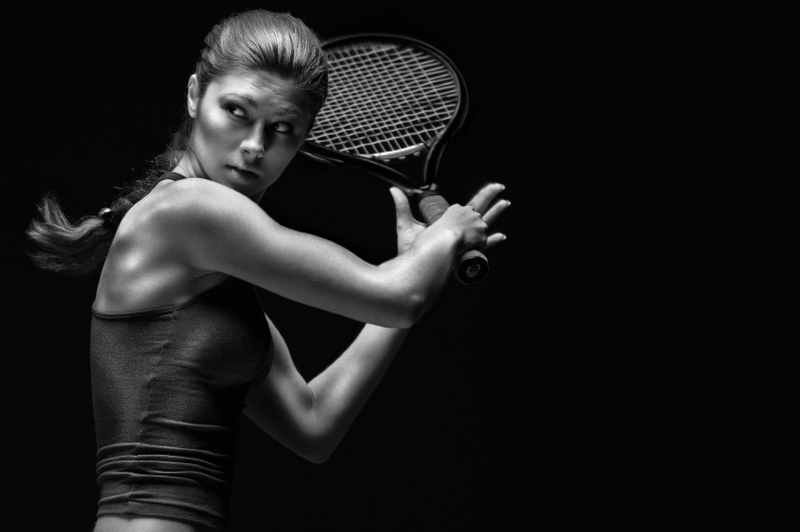 When you work on your weaknesses during your fitness routine, you will be able to improve your tennis ability. It really is that simple. If you have never been through a tennis specific workout routine, prepare to be pleasantly surprised. Tennis injuries happen all the time, and the crazy thing is that most of them are avoidable. It is not hard to make yourself injury resistant. I work with injuries all the time, so let me explain briefly. Shoulder injuries could be reduced by posterior shoulder girdle strengthening. Back pain injuries can be reduced with flexibility, core strength, and hip strengthening/stabilization. Knee injuries can be reduced by glute strengthening, medial quad development, and lateral quad flexibility. Ankle injuries can be avoided by incorporating basic stability exercises into your routine. Group Tennis Program – our group tennis program consists of an evaluation, specific fitness program to address your weaknesses, and then a re-evaluation after 8 weeks. If you are the member of a team, ask us about creating your own private group just for your team members. A quality youth sports training & fitness program starts with qualified instructors and trainers who know how to work with youth and understand the fundamental principles of normal growth and development. Children are not miniature adults and should not train like adults. Instructors need to make sure that if a child is using weight machines, that they (a) fit the child’s body and (b) aren’t loaded with weight that are too heavy or will develop bulk instead of lean muscle because any other approach can lead to injury – and often does. The trainer/instructor should make sure that all equipment is safe and that well-planned recovery strategies are put into place. Children need more recovery time than adults. If this is not properly emphasized, it could result in over-training and an actual decreases in performance. 1. Stretching and flexibility: Building and maintaining one’s flexibility is a key component in any fitness program. It keeps the muscles loose after they have tightened from a weight training workout. It will also prevent the risk of injury, especially in younger trainees. 2. Resistance training: A common myth is that young people should not take part in any form of weight lifting exercise, but this is not the case. Using light resistance with focus on proper technique has been shown to have positive physical and psychological benefits. 3. Motor Skill Development: In this stage of one’s life, motor skills are still being developed and refined which makes it very important that these skills are being taught correctly. Adequate practice time needs to be given. Running, throwing, jumping, and catching are a few of the skills to be developed. 4. Cardiovascular Training: The recommended amount of cardiovascular activity is three to four times a week for at least thirty minutes. Increasing their cardiovascular health can improve skills and sport performance, increase bone density, and decrease the risk of osteoporosis in girls. 5. Nutrition: The fitness program is boosted by optimal nutrition. Cutting out drinks with sugar and caffeine like monter and gatorade, and replacing them with water and milk is a key. Home cooking and avoiding fast food is another habit to adopt and it also saves money.